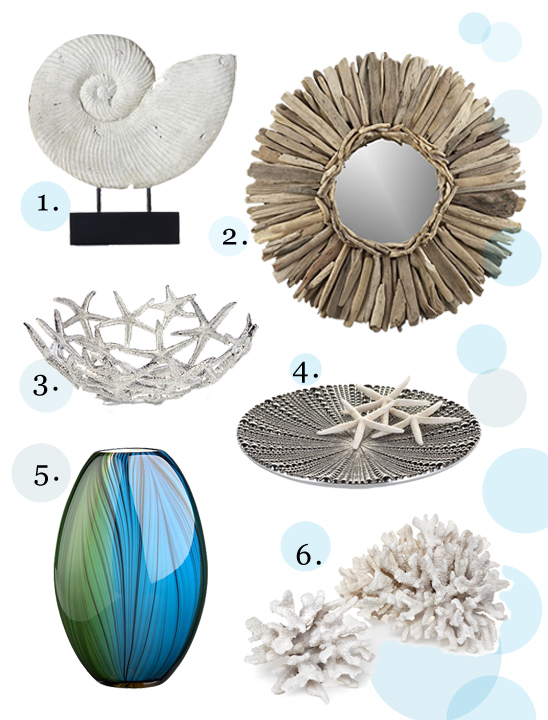 There's something so refreshing about incorporating sea-inspired decor into your home. I love the simple beauty of each of these pieces. Add a splash of color to your home with this vibrant green and blue vase and balance the room with neutral and silver accent items.